If there is one destination that has emerged as the must visit place for 2019 it is the Outback. And as far as Outback destinations go, the Northern Territory’s Red Centre is as iconic as it gets. In fact the NT’s Red Centre has emerged as one of Lonely Planet’s ‘Top Five Regions’ in the world to travel to in 2019, and with greater air access than ever there has never been a better time to bring an event to the “spiritual heart of Australia”. The Red Centre is the only Australian destination to make Lonely Planet’s hotly contested Best in Travel lists of Top 10 Regions, Countries & Cities for 2019. It is the first time this magical destination has made Lonely Planet’s top 10 regions list, placing fourth, an achievement Minister for Tourism and Culture Lauren Moss says “is about recognising the traditional owners and tourism operators in Australia’s spiritual heartland who work tirelessly to share stories and culture with visitors”. Lonely Planet’s Chris Zeiher describes the Red Centre as “the beating heart of Australia”. “A place of surprises, and a destination that leaves a profound impression on those who visit,” he says. “Dine under the stars with a bush-tucker inspired menu at the brilliant Tali Wiru dining experience at Uluru Ayers Rock Resort. Catch your breath as you watch sunrise over the iconic formations of Uluru and Kata-Tjuta. Marvel at the breath-taking and seemingly impossible oasis that unfolds within Kings Canyon. Lonely Planet’s Best in Travel also shines the global spotlight on the entire Red Centre –the MacDonnell Ranges, on Kata Tjuta, on Watarrka National Park and Kings Canyon, in addition to the unique art, culture, characters and operators in Australia’s outback. Just down the road from Uluru there is another rock formation that is taller, wider and, arguably, even more impressive than the famous monolith. Although it may be lesser-known, Kata Tjuta, also known as The Olgas, has such a presence that it becomes a highlight of many visits to the Red Centre. “Uluru as a destination has never been so hot and there has been a huge leap in visitation in recent years,” says Grant Hunt, CEO of Voyages Indigenous Tourism Australia. Uluru is estimated to be around 600 million years old and was only named Ayers Rock by Europeans in 1873 when William Gosse gave it its title after Sir Henry Ayers, the Chief Secretary of South Australia at the time. Uluru was originally formed under the ocean, and gradually hardened over the course of hundreds of thousands of years. Uluru stands 348 metres above sea level at its tallest point but the vast majority of its mass is actually 2.5km underground. The Anangu people belong to the oldest culture known to man dating back 60,000 years. Uluru and Kata Tjuta are believed to have been used for traditional ceremonies and rites of passage for over 10,000 years. 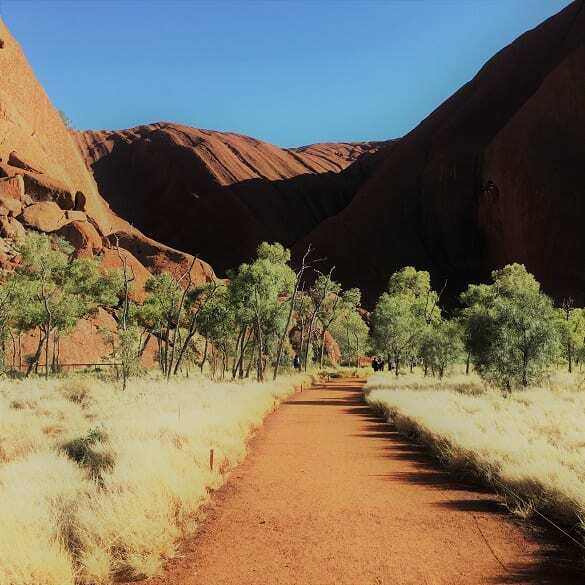 The Anangu people have always asked visitors to respect their spiritual beliefs and refrain from climbing Uluru as it has a strong cultural importance to them and their history, but left it to each visitor to make their own decision. But from October 2019, Uluru will be closed to climbers permanently. There are plenty of other ways to explore the monolith though, with bicycle and Segway tours available for those that don’t want to walk. You can also take to the skies with scenic flights by helicopter, light plane or balloon a great way to explore the landscape. It’s not just about the Rock, as the Red Centre offers a range of creative activities and off-site events. These include an early morning sunrise viewing of the spectacular ‘Field of Light’ installation, scenic helicopter flights, sunset excursion tours across the desert sands with Uluru Camel Tours, and an Uluru Segway tour around Uluru’s base. Culinary options also include the ever popular ‘Dining Under the Stars’ and fine dining exclusive Tali Wiru. Cultural insights are also a must, with a special ‘Welcome to Country’, Aboriginal dot-painting workshop with Maruku Arts and a bush tucker tour with SEIT Outback Australia easily incorporated into any itinerary. A visit to the National Indigenous Training Academy, where Voyages conducts its Indigenous Traineeship Program, is also a great way to see the excellent outcomes being achieved Aboriginal and Torres Strait Islander employees. Jenny Watson, from David & Goliath Event Management, joined this year’s Uluru Showcase looking for ideas for her event. The challenge would be fitting all the Uluru activities into her conference program, she says. Ayres Rock Resort’s conference facility, Uluru Meeting Place, comprises of two main conference rooms; the refurbished Wanari Room and the new flagship meeting space the Tjungu Ballroom. Divided by a light-filled pre-function area, the rooms cater up to 420 guests in theatre style or 30 booths (3m x 2m) for exhibitions, and feature a welcoming break-out lawn at the front. Ayers Rock Resort has wide range of accommodation on offer from super luxe glamping at Longitude 131° to bring your own tent camping. One of the most popular options for corporate meetings and incentive groups is the Sails in the Desert hotel, which offers 228 five-star rooms and suites set among gumtrees and native shrubs, swimming pool and a range of dining, bar and lounge options including the brasserie-style Ilkari Restaurant or the Walpa Lobby Bar. 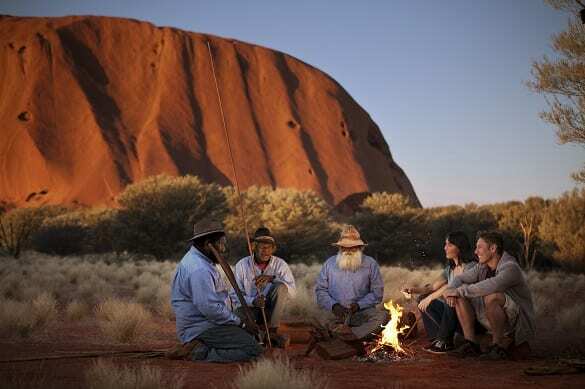 Air access to Australia’s spiritual heart is better than ever with Qantas the latest carrier to boost connectivity with a new Darwin-Uluru route starting from April next year. 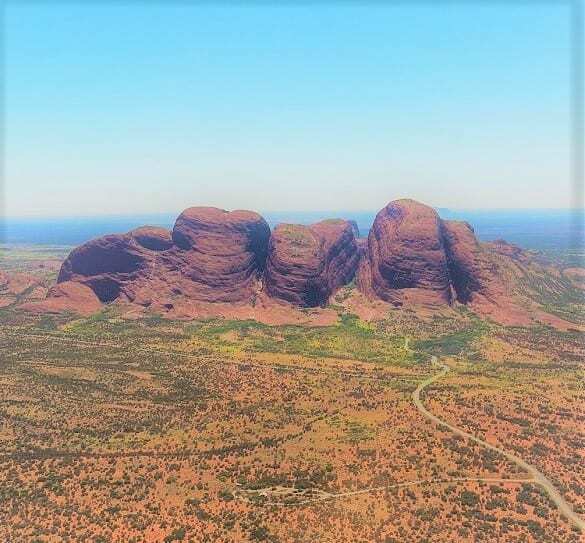 The new twice per week route will connect Uluru with Darwin and Adelaide, attracting more visitors from Asia and Europe via Darwin. Jetstar and Virgin Australia also launched new services into the NT earlier this year. Virgin Australia now delivers a twice-weekly return service between Brisbane and Alice Springs on Tuesdays and Thursdays, while Jetstar offers tri-weekly direct flights between Brisbane and Uluru. Donghai Airlines has also begun direct non-stop flights between Shenzhen and Darwin, opening up easy access for Chinese delegate and incentive groups heading to the Northern Territory. For more information on holding an event in the NT’s Red Centre visit the website.